Rectangular, smooth silver-plated cufflinks. Supplied in standard blue gift box. 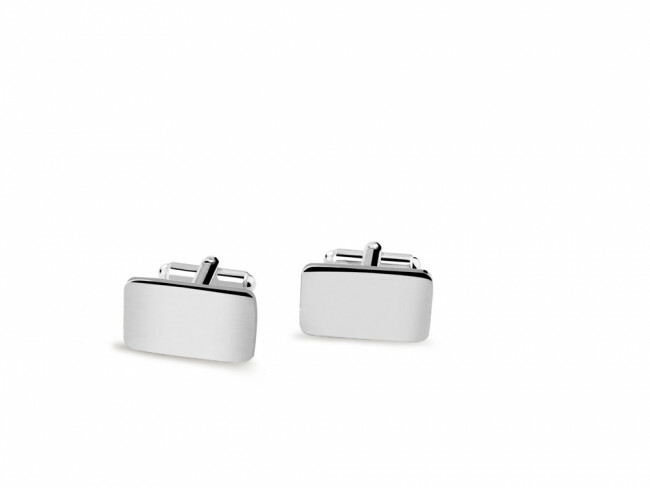 The cufflinks can be engraved.